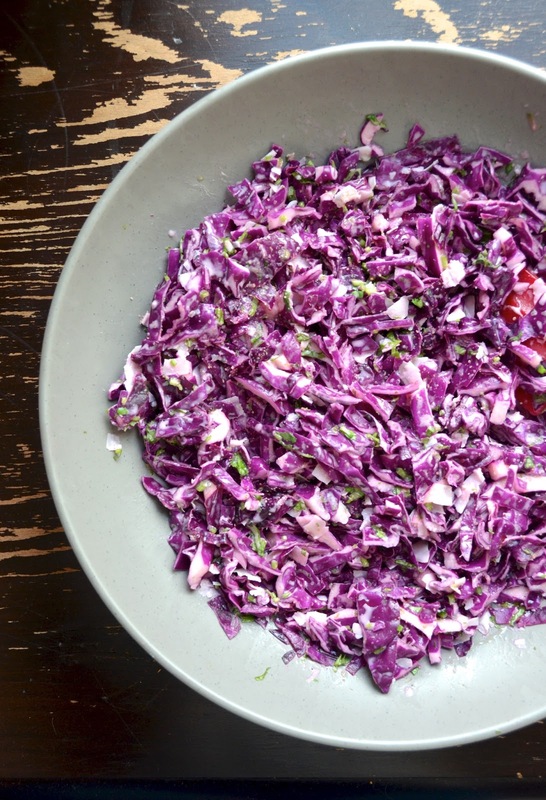 This crunch, slightly sweet and tropical slaw only uses a few ingredients, and is the perfect side for all kinds of main dishes. We've served this one with everything from crab cakes to bbq-sauce smothered chicken. It's also a really tasty addition to tacos and sandwiches. Try it with grilled mahi mahi sandwiches, shrimp tacos, or even pulled pork! Because cabbage is such a hearty vegetable, you can make and dress this in advance and let it sit for a few hours before serving or during a long party. Add this recipe to your repetoire and pull it out for your next potluck or picnic! In a blender, combine the coconut milk, lime juice and zest, vinegar, honey, garlic, and chile flakes if using, and 1 teaspoon kosher salt, and puree until smooth. 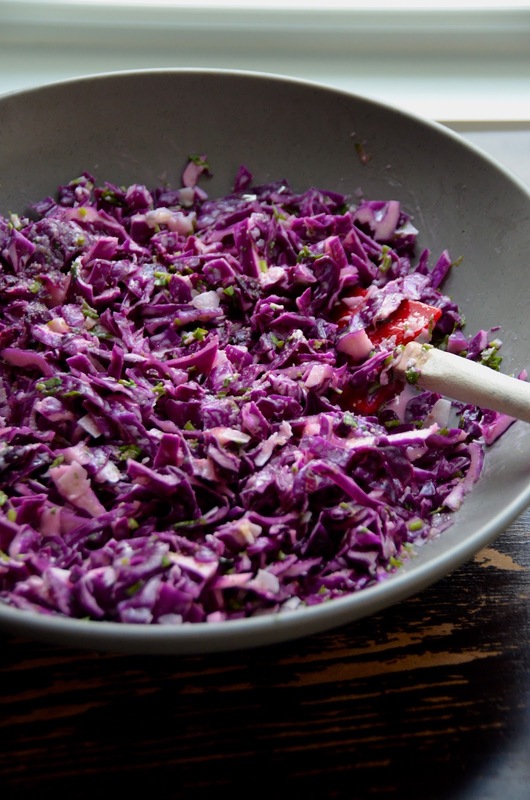 Combine the cabbage, sliced onion (if using), cilantro, and the dressing in a large bowl and toss to coat. Cover and chill at least 2 hours and up to overnight. Before serving, toss, taste, and season with additional salt, if needed.